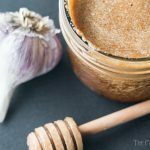 This Easy Paleo Honey Garlic Sauce is not only paleo but also AIP friendly! 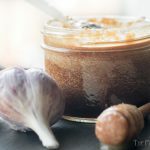 So easy with only 3 ingredients, and if you haven't had the time to ferment the honey garlic, there's an easy cheat! 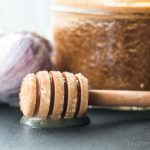 A while back I posted a recipe for fermented honey garlic and an Instant Pot recipe for chicken lettuce wraps to go with it. For well over a year I have kept a jar of honey and garlic gurgling and making magic in my hall closet. This stuff is… magic… feeling a little sore throat, pop a couple of those lovely mild sweet cloves in your mouth and you'll wake up feeling better! In the meantime, get a batch of easy honey garlic sauce going and then put it on every. dang. thing. Combine ingredients in a food processor or blender and blend well! 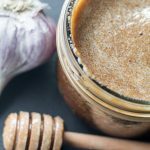 If you are more of a Raj than a Holley, and you haven't fermented honey garlic but you want to make this NOW, easy! 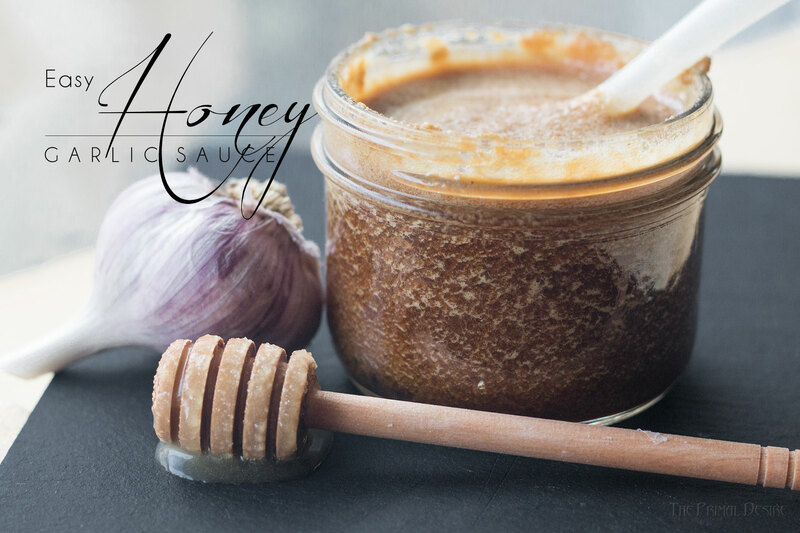 Throw 2-4 large cloves of garlic in 1/3 cup raw honey with the coconut sauce-aminos and salt and blend. If you have the time to roast the garlic (or pressure cook for 10 minutes) it will help mellow out the flavor. 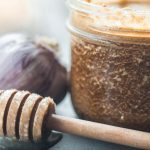 i have never tried or heard about fermented honey garlic, im curious to try that. It’s great! Keep us posted! OMG! I might have to get divorced over this, but I’m definitely trying it! Does this change the carb count?